Youth Agricultural Entrepreneurs Programme (YAGEP) is about the training and establishment of youths in four (4) agricultural enterprises including poultry, piggery, fishery and vegetable production. The scope of training covers agricultural subject-matter knowledge, enterprise management, leadership and life skills, group organisation and group farming. SONGHAI DELTA is the training centre for YAGEP. The Objectives of The Programme are to create jobs, develop entrepreneurship, increase outputs and generate wealth. The enterprises to be covered include piggery, poultry, fisheries, vegetables (tomatoes, pepper, etc.). Training of youths in agricultural enterprises: The training scope shall be holistic, including technical, leadership, entrepreneurship, information management, group organization and group farming, conflict resolution and life skills. Trained youths will be supported to establish and run their own enterprises through the provision of infrastructure and starter packs. 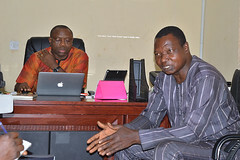 The programme has a strong mentoring and monitoring component. 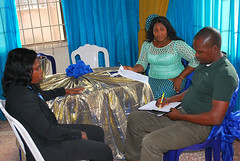 Participants/Beneficiaries: The participants are youths (18-35 years). The 10 trainees/enterprises per L.G.A will include fishery, poultry, piggery and crop farming. Selection Process and Criteria: The selection process is conducted by a strong interview team with professional assistance of consultants, based on clear terms of reference. Ministry of Agriculture and Natural Resources. PRIVATE FARMS (to host trainees during the internship phase). Training. 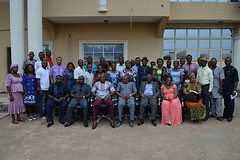 The training shall consist of 80% hands-on and 20% theory for a period of 1 month at SONGHAI DELTA. Internship in selected private farms for a period of 1 month. 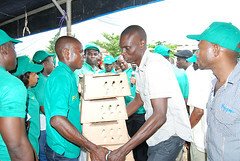 Trainees will be provided with starter packs, designed by the Ministry of Agriculture and Natural Resources and consultants. 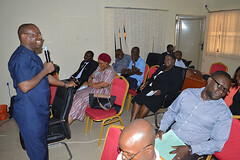 Mentoring and monitoring will be carried out by Staff of the Office of the Chief Job Creation Officer. 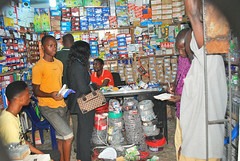 The programme will include facilitation of market linkages for the products of the youth enterprises.